Oh, Twitter. Never has a social media tool so divided people! But, love it or hate it, it’s not going anywhere. 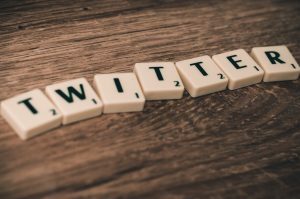 Twitter has 330 million – yes million! – monthly active users. Used correctly, it’s an amazing way of promoting your blog. 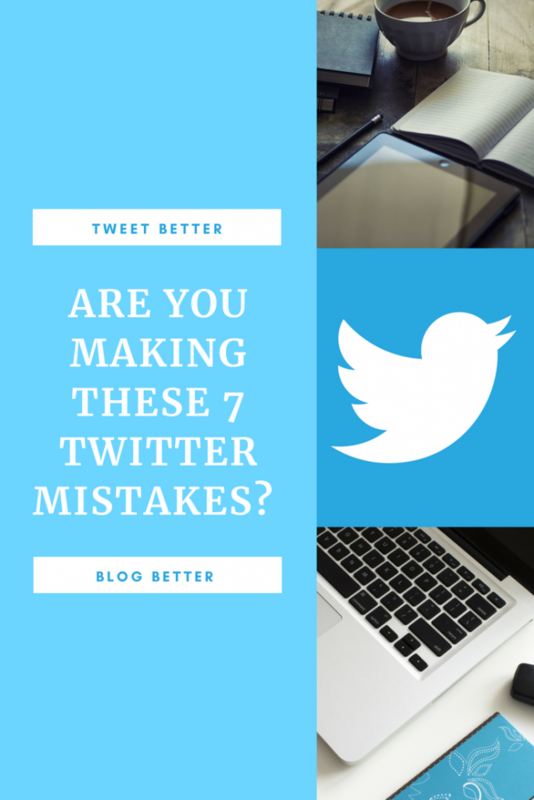 However, there are some easy to avoid Twitter mistakes that you could be making. Read on to find out how to Tweet better and gain real engaged followers. For real – if you’ve still got a little blank egg as your profile picture, stop that right now. People want to know you are a real person with a real face! Choose a picture of yourself which is friendly and approachable. Keep it professional though – maybe stay away from the pictures of that drunken night out. Unless you are already a large or recognisable brand, choose a personal photo over a logo. Fill in your bio. It’s really surprising how many people leave this bit blank – it’s your chance to sell yourself! Write a few snappy sentences that make it clear who you are and what you do. Consider using your real name as well as your blog name in your profile. If you want to keep your blog anonymous, that’s totally fine. But if not, adding your name will make you seem more approachable. Twitter has moved on from the days of plain, 140 character Tweets. Now it lets you post photos, videos, GIFs and polls. You really need to use these! You can post your latest blog posts with attractive images, or short video clips that will make people want to click through. Post infographics which back up the topic of your latest post. Get your followers to engage by asking a question and collecting their responses in a poll. In the constantly updating Twitter stream, your content needs to stand out. According to Twitter, people are three times more likely to engage with Tweets that contain images or videos. Post a silly GIF every now and then, or ask an interesting question for a poll. Like the point above – it makes you seem real and approachable. You are not going to get anywhere on Twitter by just posting your own content. No one likes that guy who is always selling himself but not interacting with other Twitter users. For every Tweet that you post directing people to your blog post or product, try and share someone else’s content too. Most bloggers on Twitter are there to be part of a community – don’t view your fellow bloggers as competitors! Big up people who you admire and you will find people will start to share your content in return. Don’t be that person who is always asking for Retweets and Follows. Yes, it’s OK to say “Please RT” every now and again in your posts, but don’t do it every single time. People will get bored of seeing it, and they won’t respond. Similarly, don’t use hashtags like #follow4follow #followback #followerswanted. Seriously, just don’t. They make you look needy, and they will mainly attract spam followers and bots anyway. This is a) really cynical and b) totally winds people up. Following lots of people, and then unfollowing them as soon as they follow you back – it’s just kind of rude, right? Sure, this way will probably get you more followers. But a lot of bloggers are aware of this tactic and will know if you are doing it. It’s better to have fewer followers, but more engagement. All those people who blindly followed you back just because you followed them? They aren’t likely to be reading and engaging with all your posts. It’s better to get genuine followers by networking, having Twitter conversations with people you admire, and building up a circle. 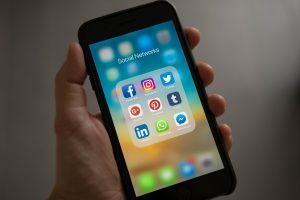 You’ll get new followers from RTs and connections with other bloggers, and these ones are likely to stick around. You know the type – they Tweet everything they’ve had for lunch or the fact that they’ve just popped out to the shops. One of the biggest Twitter mistakes. Think about the type of content that you would find interesting, amusing or engaging – no one wants to know that you just took your dog for a walk or that you’re off to Starbucks for a skinny mocha frappe. Consider phrasing your Tweets as questions sometimes, as a call for others to get involved in a conversation with you. Try posting interesting facts that are pertinent to your niche, the kind of thing that people might sit up and take notice of. The final point in this list of top Twitter mistakes is all about hashtags. Hashtags are important, and they can definitely help your Tweets get seen. But you need make sure you are not over-using them or your Tweet will look spammy. Try and keep it to two or three hashtags per Tweet – and don’t include hashtags every single time. Like this post all about Twitter mistakes? I can create similar content for your site. Find out more here.